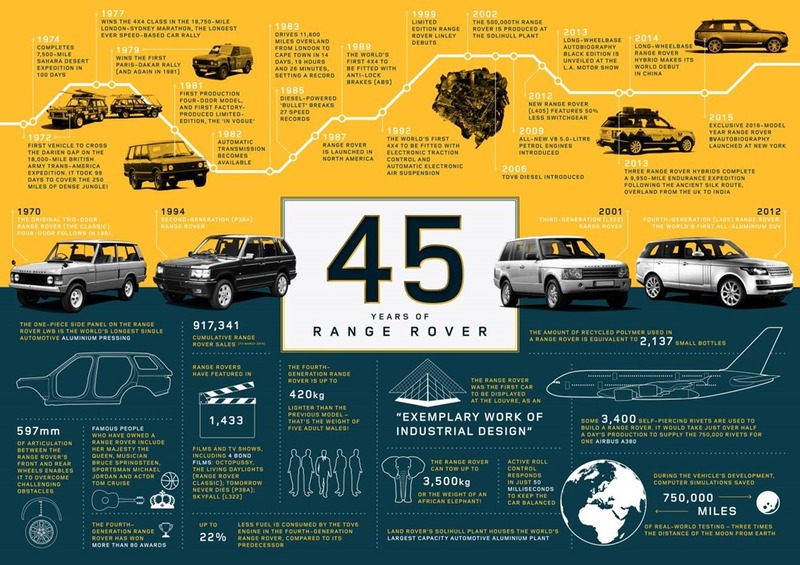 Range Rover was the first and best SUV. Most luxury SUVs have a capable but limited AWD system. You’ll get off road but will probably be up to your armpits at the first sign on trouble, and that’s the most important part, capability. 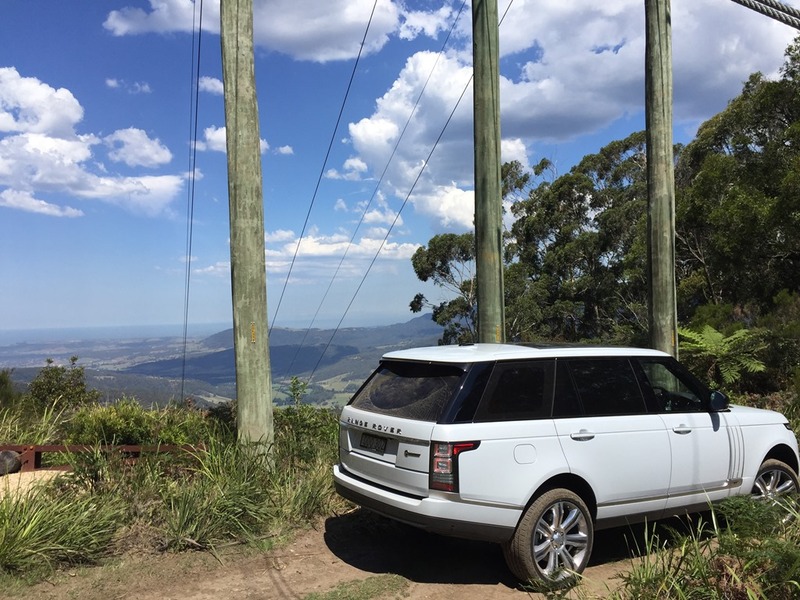 A full 4WD system has high and low range gears effectively giving you access to much more power, and more importantly, torque. Why? Because, lower gear ratios allow the engine to develop sufficient pulling power to slowly walk the tyres over rocks, and to crawl out of sand. True 4WDs tend to have better ground clearance too. 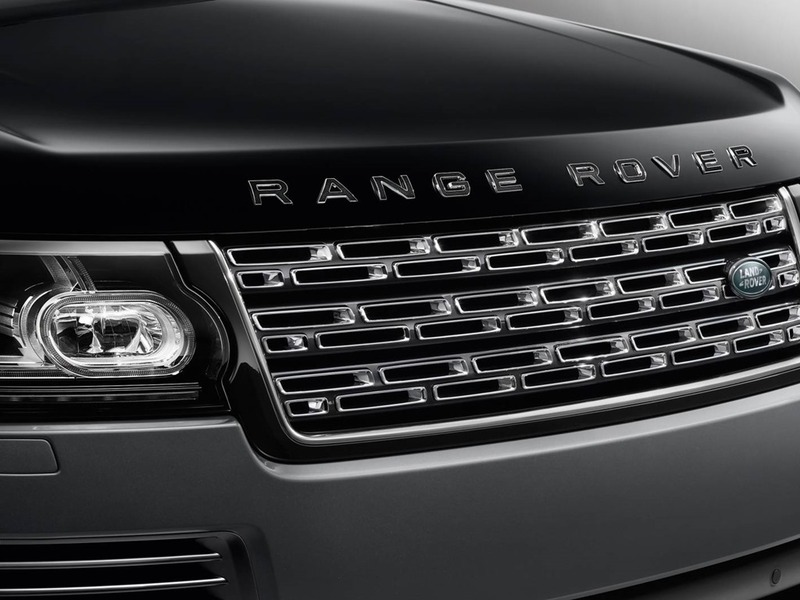 Range Rover has adjustable height just to dot the “I” and cross the”T”. 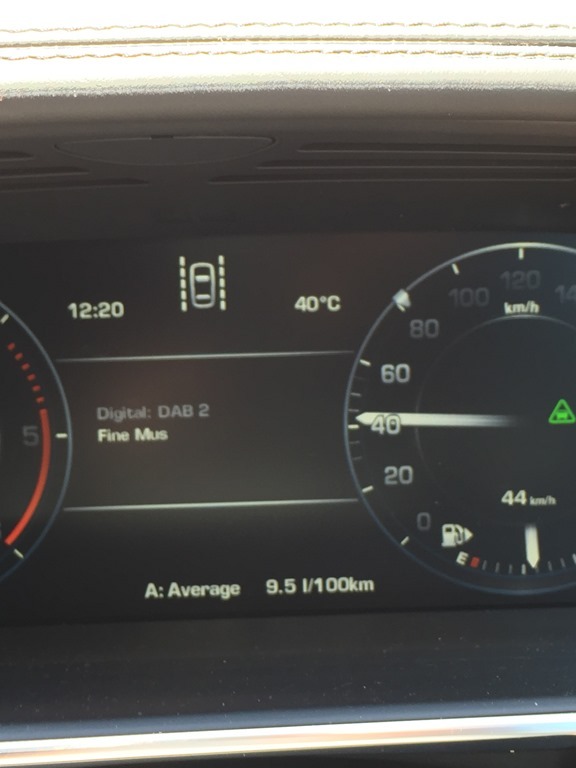 You can get a Bentley Bentayga which will cost you half a million, and although it will get you to 100 in under 5 seconds, it won’t like being up to the axels in schmutz . A call for a man with a tractor will soon follow, unless of course there is a man with a Range Rover close-by handy. The exterior sports a few special SV touches such as the chromed grille which makes it look even more like someone stole it from dad’s electric shaver. A keen eye will spot 22” wheels and an extra-long back door. 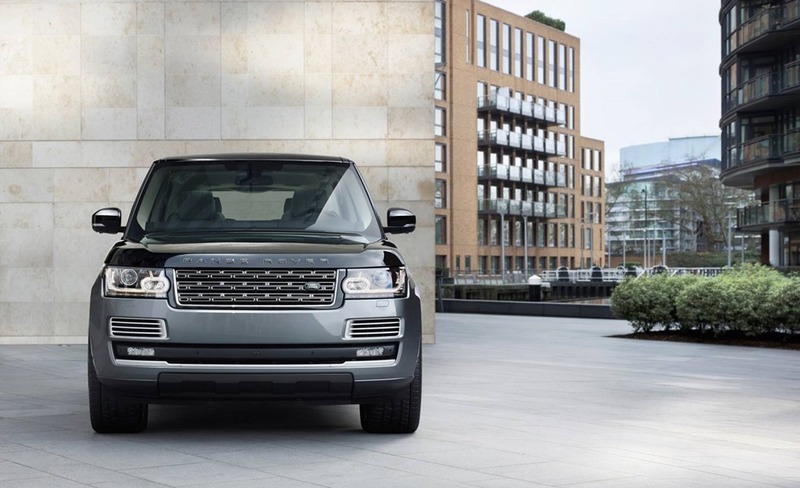 If I’m honest, the long wheelbase alters the superb proportions of the Range Rover to look slightly wrong, but any misgivings quickly evaporate once inside. 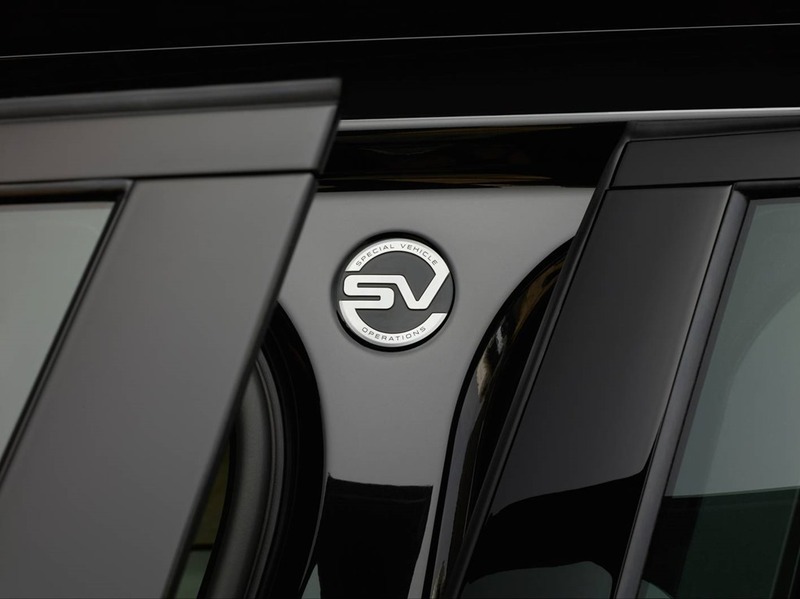 The SV is the only hyper-luxury 4WD, period. 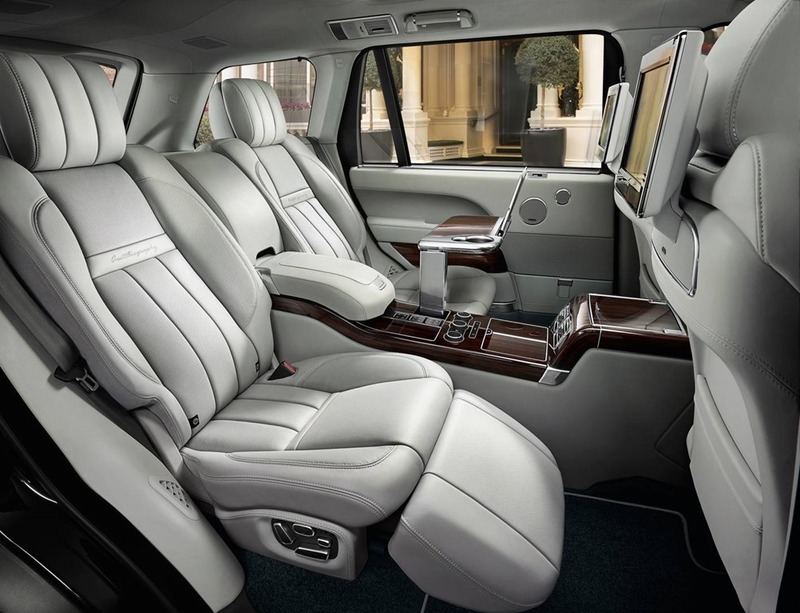 The front seats are the usual fare but it is the rear seats where impeccable taste gives way to unbridled luxury. The SV LWB seats only four pampered passengers. It’s intended to be ordered by petty despots and crown heads who have drivers. Those in the back can get sozzled, and to the end, there is a chiller for the Krug. The bottle compartment has room for a couple of flutes, white wine glass be damned. There is another chiller between the front seats for a second bottle just in case. 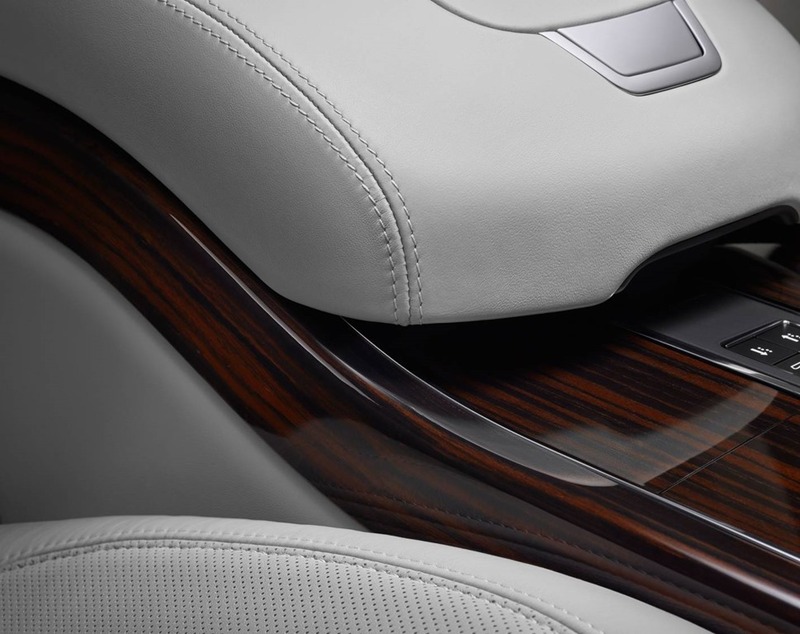 All seats are heated and cooled, and have electric adjustment with a built-in massage function. The front passenger seat has a button high upon the seat back so the person behind can reach forward and send that seat all the way forward. It then leaves enough room for the electric foot rest to be deployed. So, there you are with your feet up, champers in your hand, you’ll then need a spot for your glass. Inside the arm rest are 2 discrete buttons which, when pressed, cause one or both slim-line doors in the console to open. Silently, small tables appear as if by magic. The tables are finely crafted in aluminium, and have a groove for a tablet or phone, a spot for your glass, and a place for a cucumber sandwich. Also in the rear entre console is a remote that controls both rear LCD screens which display movies, TV and other features. 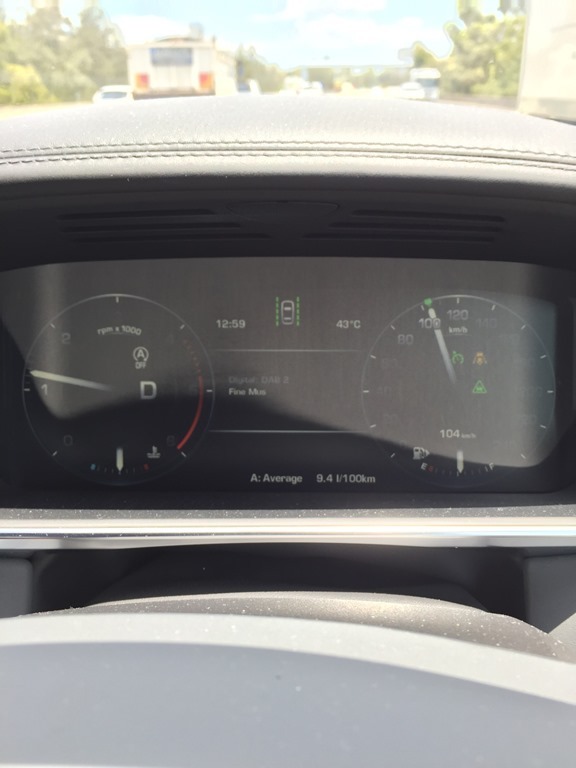 The front passenger can also watch TV on the same screen the driver uses for the usual infotainment centre functions thanks to JLR’s clever 2-way technology. The very same screen shows a different face depending on the angle of the viewer. Only looking from the back seat can both images be seen superimposed. 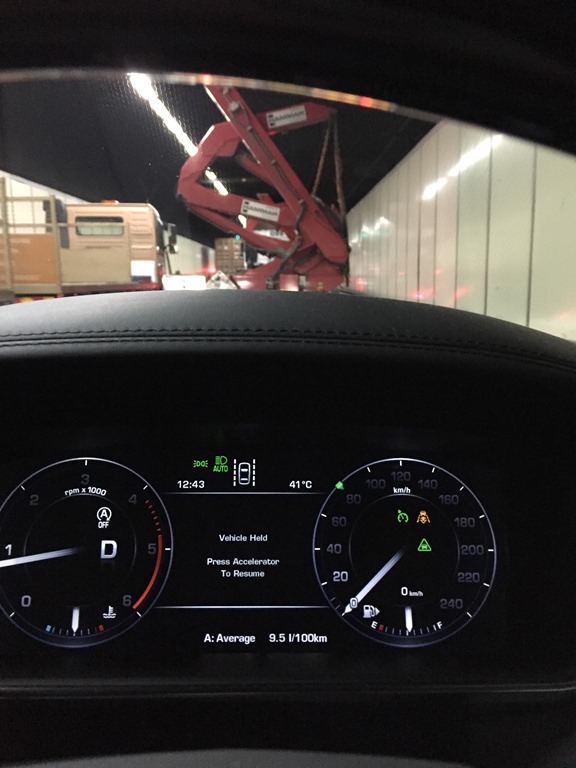 The rear compartment can be controlled by the driver from the centre stack. 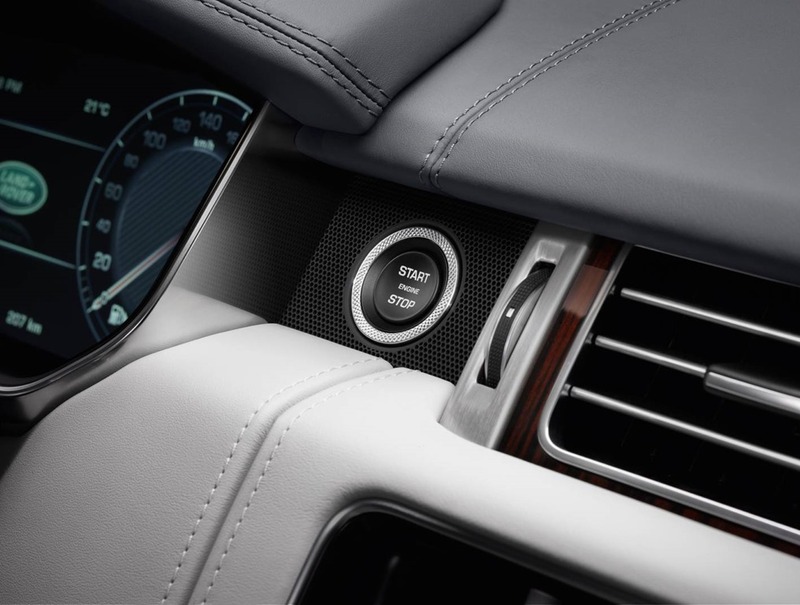 The climate control, seats and entertainment can be selected. The seats in the rear can be adjusted by selecting either one, then controlled from the controls on the driver’s seat bottons. It’s ingenious. 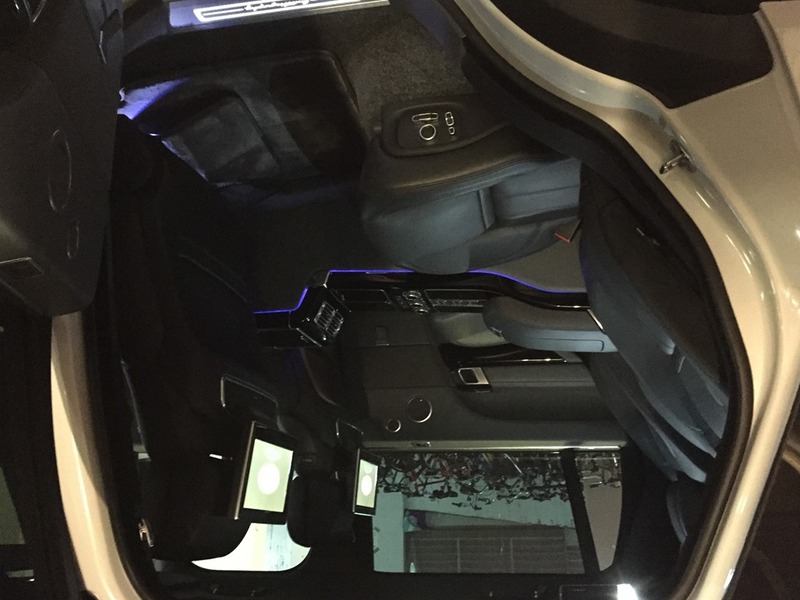 Some functions can be subsumed by the rear passengers by selecting the rather grand sounding “Limo Mode”. The rear passengers can use their window buttons to raise and lower the window shades. The shades also operate from the driver’s door. There is darkened privacy glass which adds another level of cosiness and keeps those from outside, seeing inside. 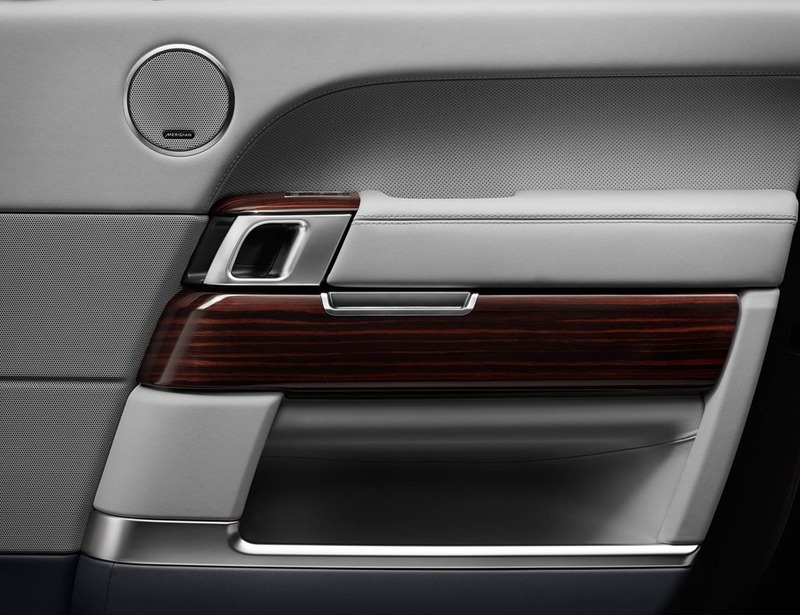 The doors have Soft-Close which has little electric motors to assist the last 6mm of travel. This means no more nasty door slamming. 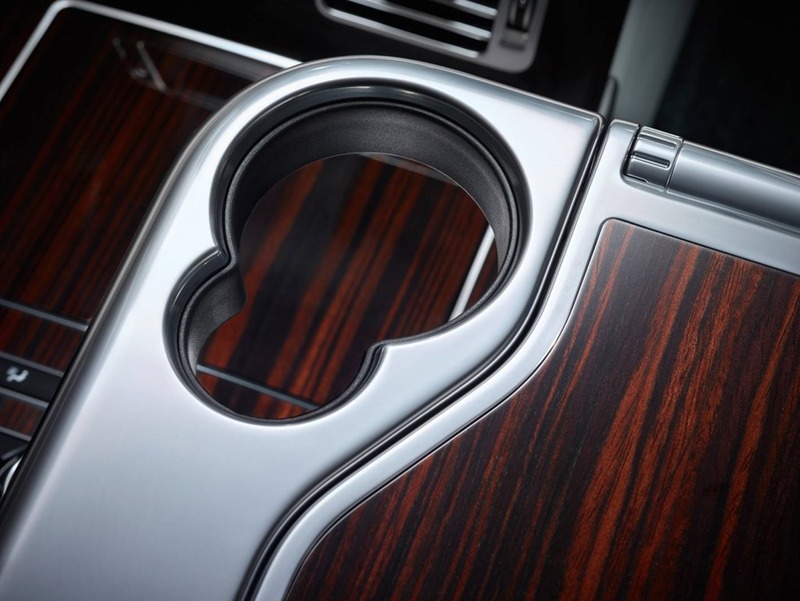 The craftsmanship is perfection itself. There is not a skerrick of plastic, nasty or otherwise. 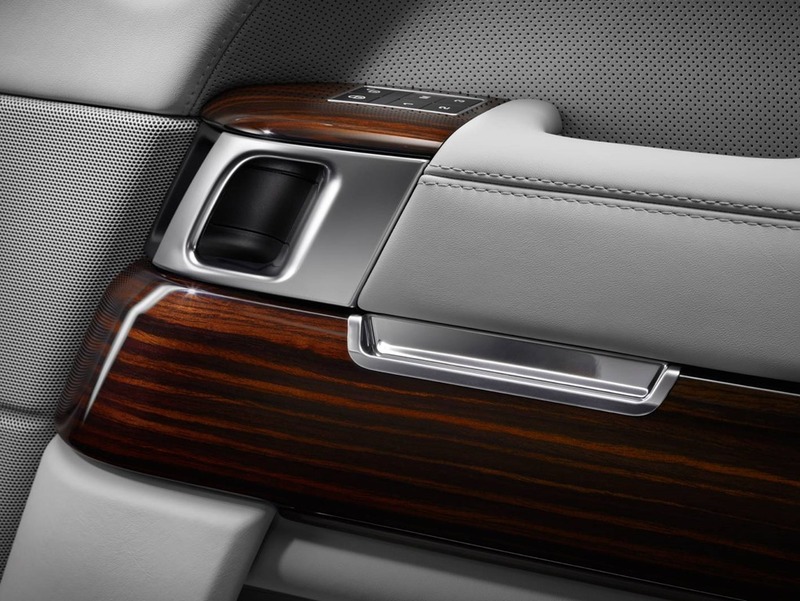 It is fine woodgrain, aluminium, and leather (real and simulated) which are fit to grace this cabin. The stitching is immaculate and each and every panel meets perfectly with its neighbour. There are several engine options with ours being the 4.4 turbo diesel coupled to the obligatory 8 speed auto. It is surprisingly economical getting around 9.5 L/100k (combined) which admittedly included quite a lot of highway work. For the first time ever, I was able to get the “gesture tailgate” to work. 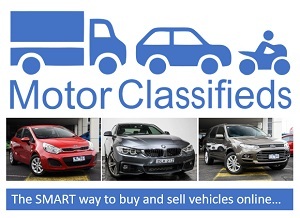 It is as easy as making a gentle kicking motion about halfway between the back wheel and rear bumper. 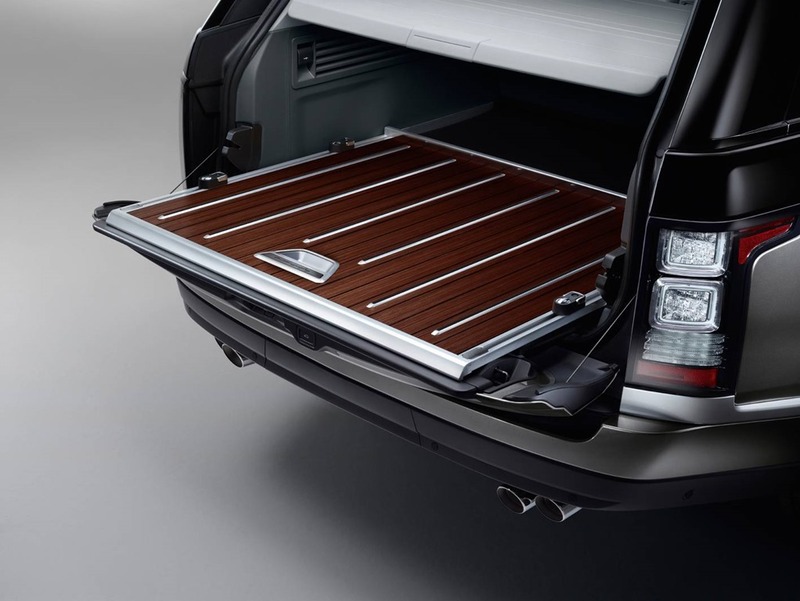 The tailgate has an upper and lower section and the gesture has to be operated from the side for obvious reasons. Once open, you can perch on the lower section of tailgate to watch the sun go down, or a polo match. The upper gate keeps light rain off and there is even an optional tailgate seat for two. 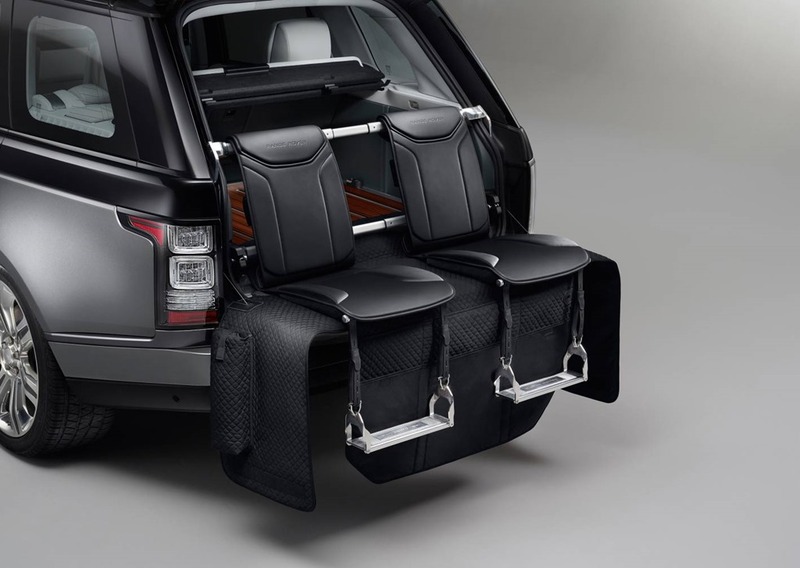 It comes with a quilted blanket to protect the car and stop nasty drafts around the legs, as well as large stirrups to keep the loafers off the dewy grass. Prince Phil has been known to close the upper tailgate to stand on the bottom one. He loves a polo match or two. 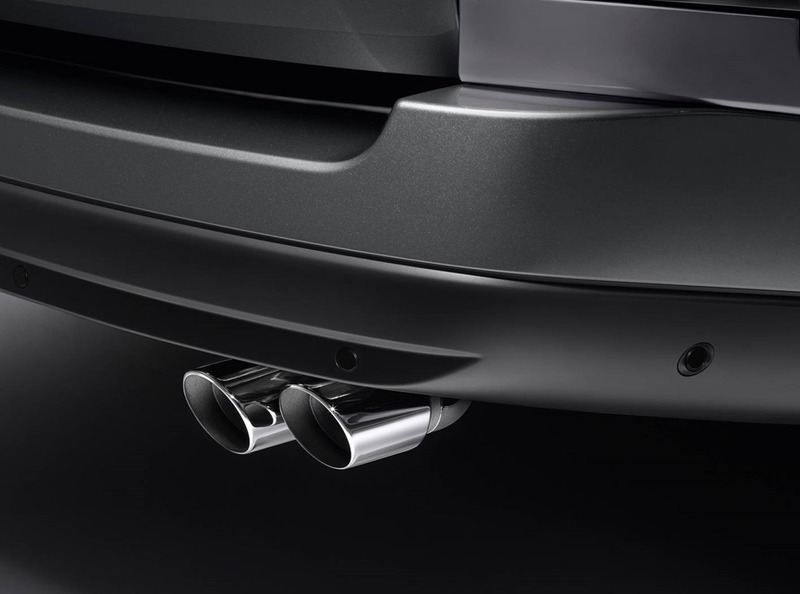 Suspension can lower to allow easy access, but can raise to an off-road clearance height of 298mm. If you’re feeling daring, you can wade into water 900mm deep. 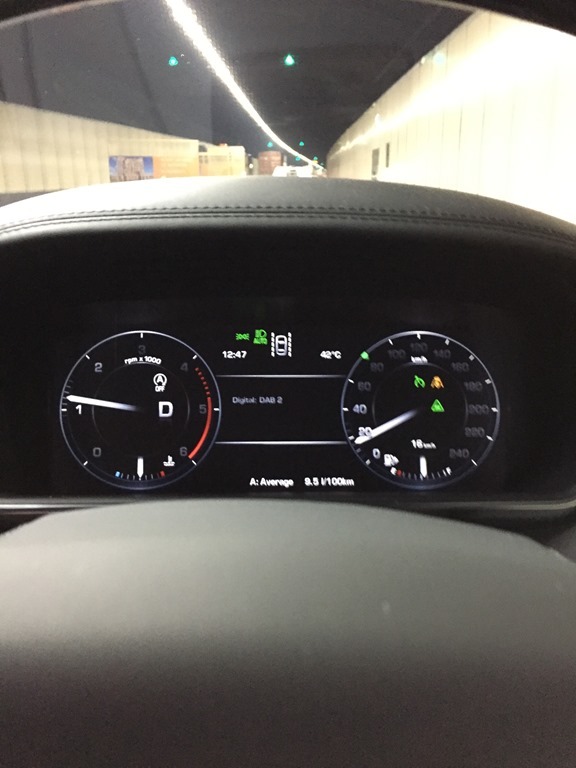 It helps to remember that depth is measured from the sensing devices in the side mirrors, so by the time you discover the water is too deep, you’re in strife. Driving such an ample SUV takes a small amount of adjustment, but it is fairly nimble thanks to the ample torque and light steering. 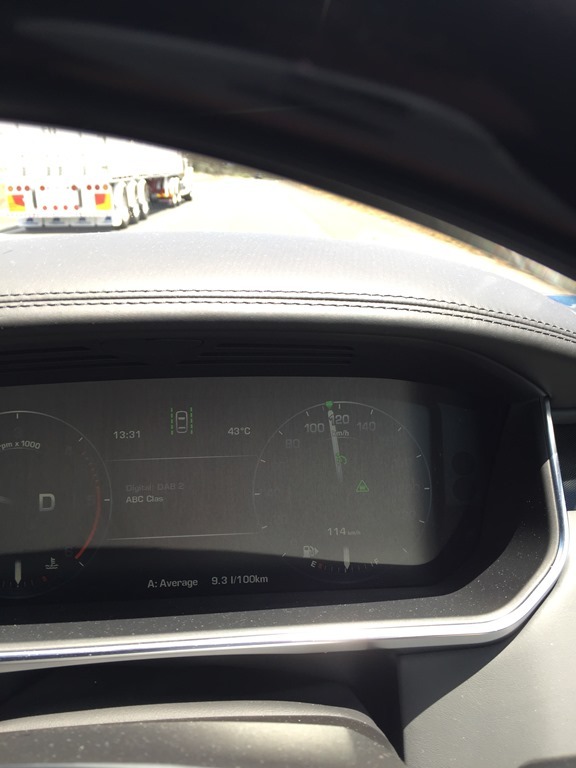 The ride is cloud like, and you waft along with air suspension set to comfort rather than handling. 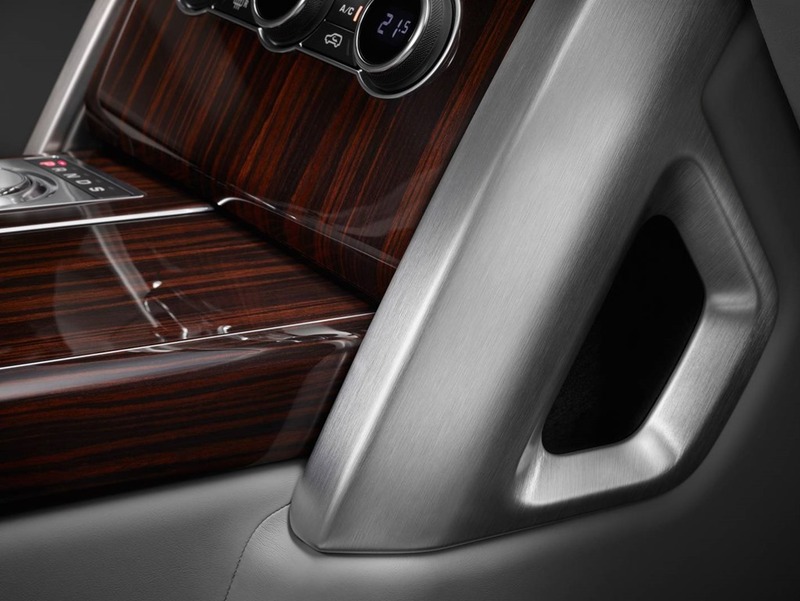 There are fancy controls for off-road including electronic locking diffs which use the ABS to ensure wheels don’t spin. 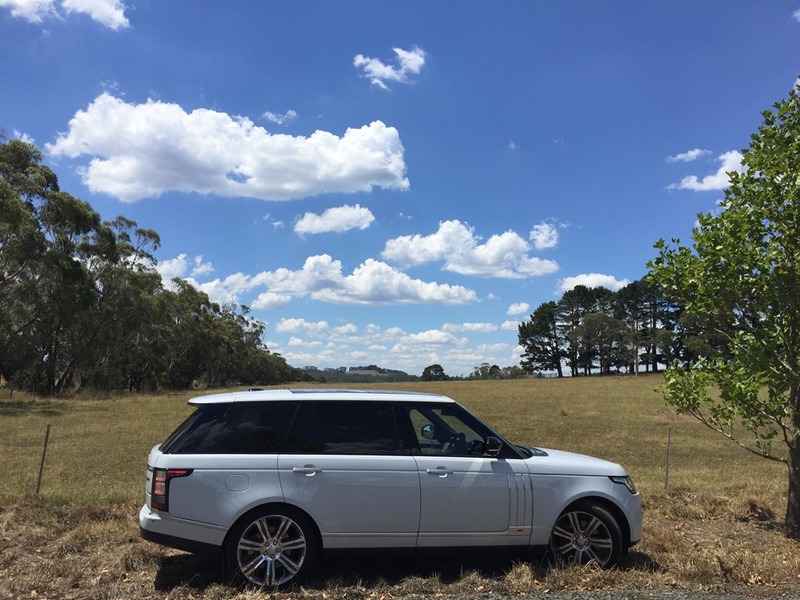 We set Range Rover some difficult tasks. It even tackled Macquarie pass on a family day out. Whilst no sports car, the clever suspension allowed a little controlled body roll while maintaining directional stability. In tight bends, the biggest of the JLR SUVs feels much smaller than it has any right to. We took some photos on a side track at the top of the range. It was uneven and potholed ride that was not noticed from the driver’s seat. 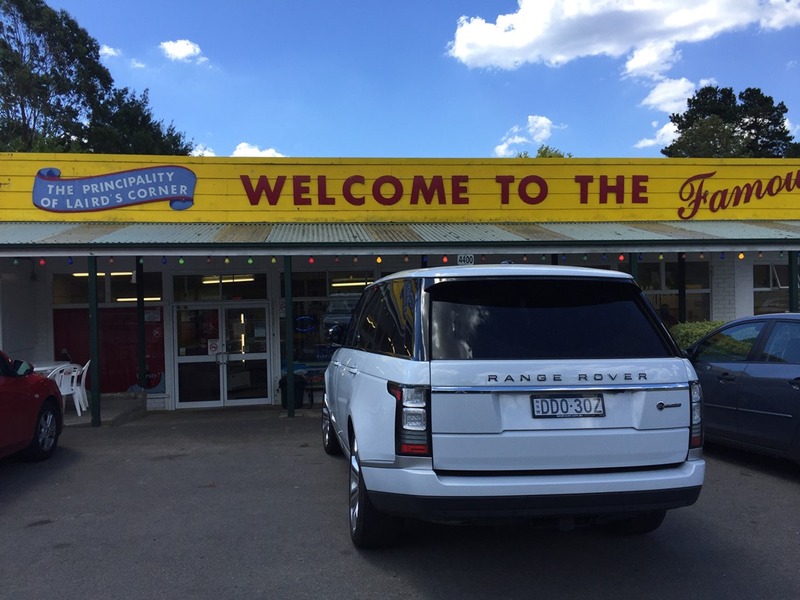 Range Rover remains unique fending off all comers. It is a proper 4WD with low range gears. It has electronic assistants off road to help nurture the inner camper in all of us. The Long Wheel Base SV model will probably never see mud in any serious way, but it can if it has to. Big muscular SUVs are at home on the land, so having a genuine 4WD at the farm that is right at home in front of the Opera House is a bonus. I stress again, there is no other hyper-luxury 4WD in this segment, and no Merc’s G class is in no way a competitor. You could happily cross the country with or without a road, and be relaxed at the other end. Although most of us wouldn’t need the extended rear leg room and fancy rear seating, it is there as an option. The test car had the older entertainment system. 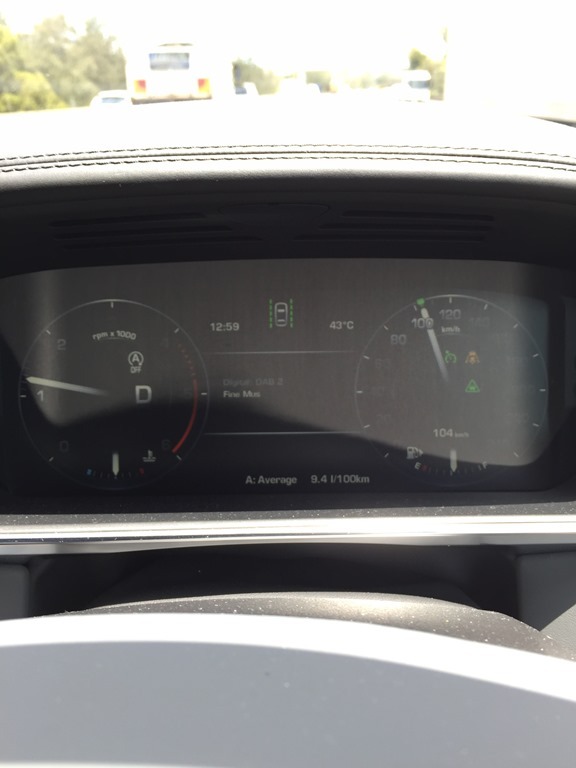 The new models have the updated system with a wider screen in the front centre console. We will have to wait to see if it has CarPlay or not. Our test car had the $11,000 “event seating” (folding seats on the tailgate) option but we were not able to deploy it. In short, Range Rover is all good news and is shamelessly aimed at the uber-wealthy, so in a way, the price is irrelevant. That’s probably just as well because with on-road costs, the price is approaching $400,000. Would I buy one? Yes, it was magnificent.